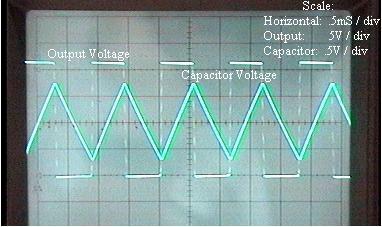 The objective is to construct a simple light to frequency converter. Then to use that converter to take samples of operational information. 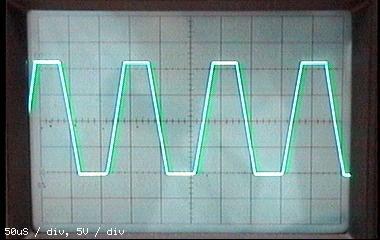 2)	Record the waveform at the output. 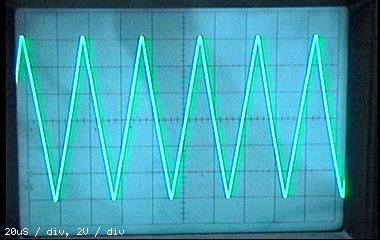 3)	Record the waveform across the capacitor. 5)	With room light reaching the photocell, record the waveform produced at the output. 7)	Block all light to the photocell and record the resulting waveform at the output. 8)	Calculate the peak voltage and period. 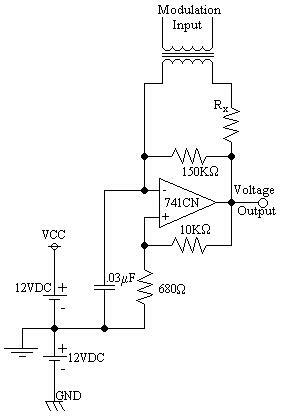 1)	Q:	What is the frequency obtained in from the 15KW resistor using two methods? 2)	Q:	What are the range of frequencies that were observed using the photocell? 3)	Q:	What is the resistance of the photocell at room light? 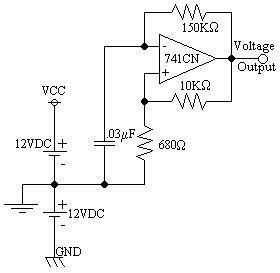 4)	Q:	How can this circuit be altered to be used as a modulator for an incoming signal? From this lab it is shown that a light to frequency converter can be constructed using a 741 Operation Amplifier and a standard photocell. The accuracy of the results is shown between the two calculations of frequency. The difference being less than 1% (.115%) shows that the readings were exceptionally accurate to the theoretical circumstances.